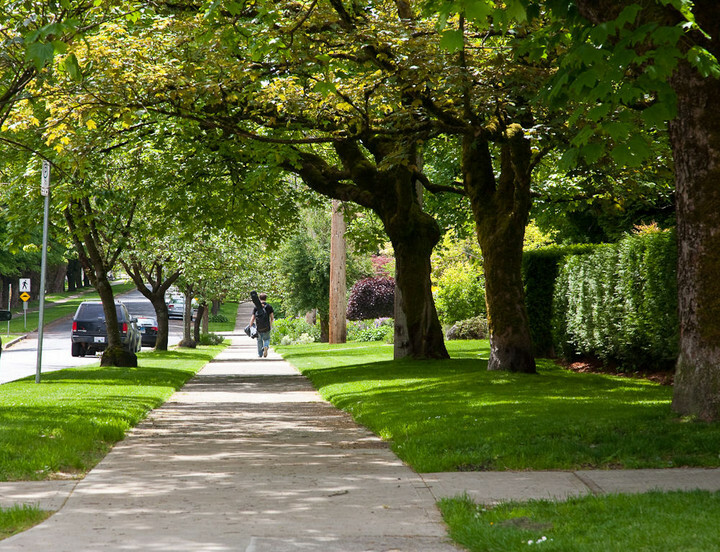 The City of New Westminster maintains a wide-range of maps and geospatial information including information such as; parcel outlines, sewer lines, water lines, biking routes and parks. The information is maintained and utilized by all City departments, City of New Westminster residents, general public, government and non-government agencies and online GIS user communities. 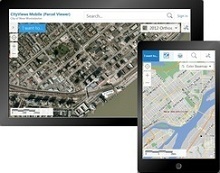 Our general map viewer optimized to support mobile devices and touch screens. Business license information locations. Points on the map showing CNW business license data. 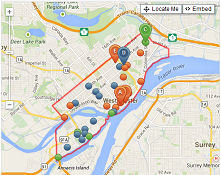 This map will help you find out about community, settlement and social services in your city. Shows fuses, switches, junction boxes, street lights, street poles, electrical circuits etc. Open access fibre network owned by the City. Municipalities protect, conserve, and manage heritage properties through a variety of tools including: Heritage Designation, Heritage Revitalization Agreements (HRA), Heritage Conservation Covenants or Heritage Conservation Areas. Once a property is formally protected, major changes require a Heritage Alteration Permit (HAP). The Heritage Register is an official listing of properties deemed to have heritage value. Inclusion on the Heritage Register allows Council to temporarily withhold a building permit, a demolition or to order a heritage impact assessment. The Heritage Resource Inventory is an unofficial list of properties deemed to have heritage value. Report, track and discuss issues in your city using this app. Shows sewer mains, caps, catch basins, pump stations, manholes etc. An interactive mapping tool which you can use to locate parks, city facilities and schools for recreational purposes within your area. The places,dates,names,businesses and events displayed on this Memory Band are just a few of those associated with the growth, development and identity of this area now known as New Westminster.